Today we are going to take a look at a figure I’ve had for a bit but who’s gallery got pushed back due to SDCC and related events. 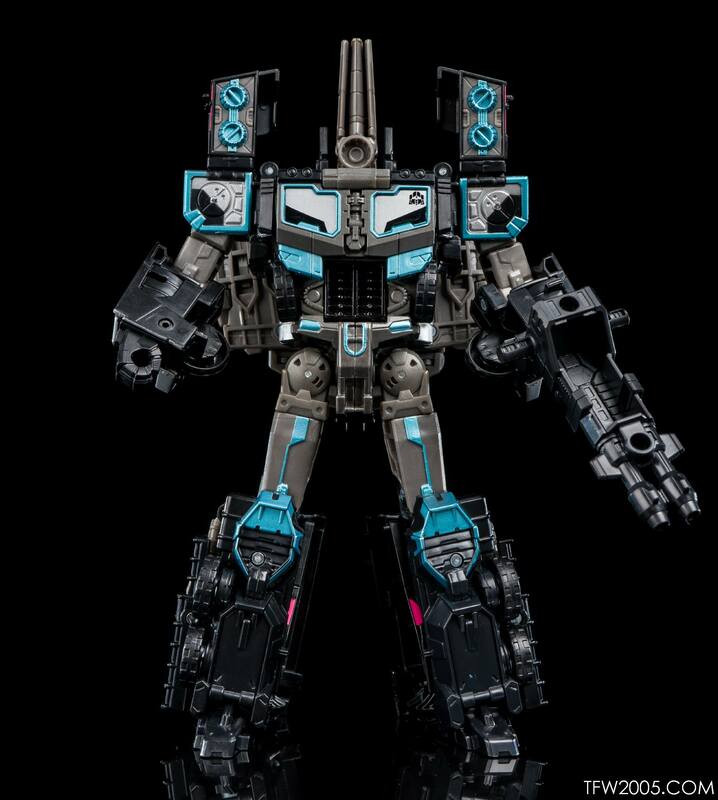 At this year’s Tokyo Toy Show a repaint of Titans Return Laser Prime was released in Car Robots / RID2001 Black Convoy colors. 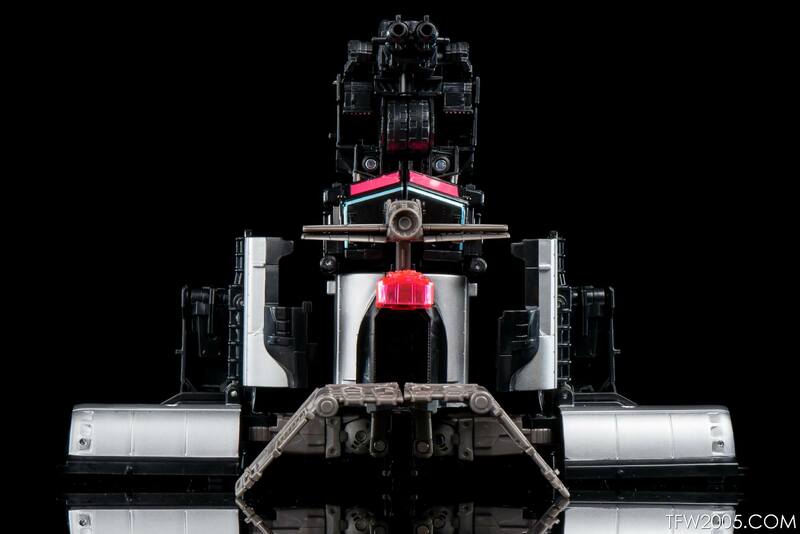 This is fitting because the original Black Convoy in Car Robots was a repaint of the original G2 Laser Prime. As many of you may know, Car Robots / OG Robots in Disguise is my jam, so I had to get him. 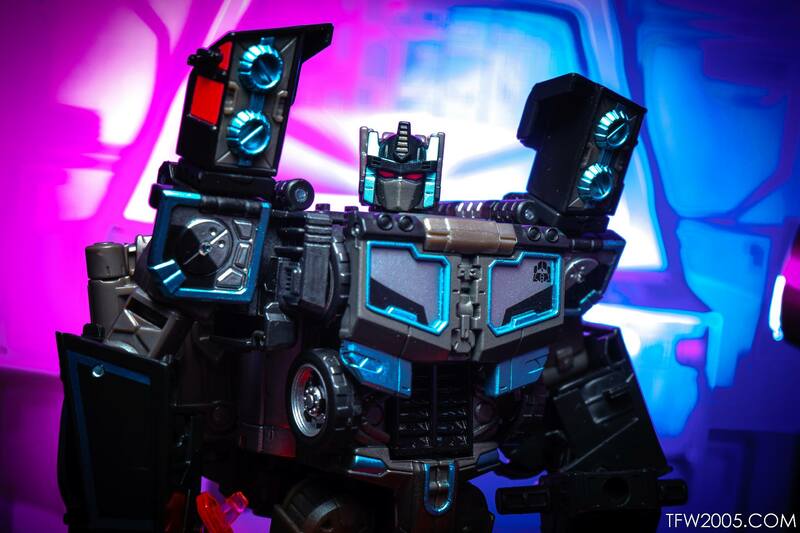 You can check the full gallery here: TFW2005’s Tokyo Toy Show 2017 Black Convoy Gallery. And, obligatory plug – if you want even more Car Robots / Robots in Disguise 2001 goodness, check out our side project RIDForever.info! Backdrop seen in pics courtesy of Extreme-Sets.com. Use coupon code TOYARK for 15% off your order! I'm soooo glad I checked out this gallery. Now that both baldigus and scourge are in my possession, they're both awesome! 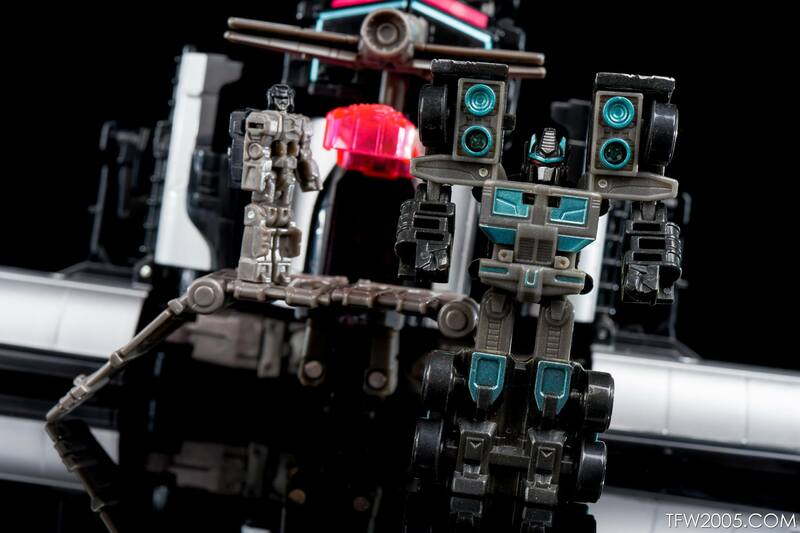 Scourge is just beautiful, and baldigus is fantastic. 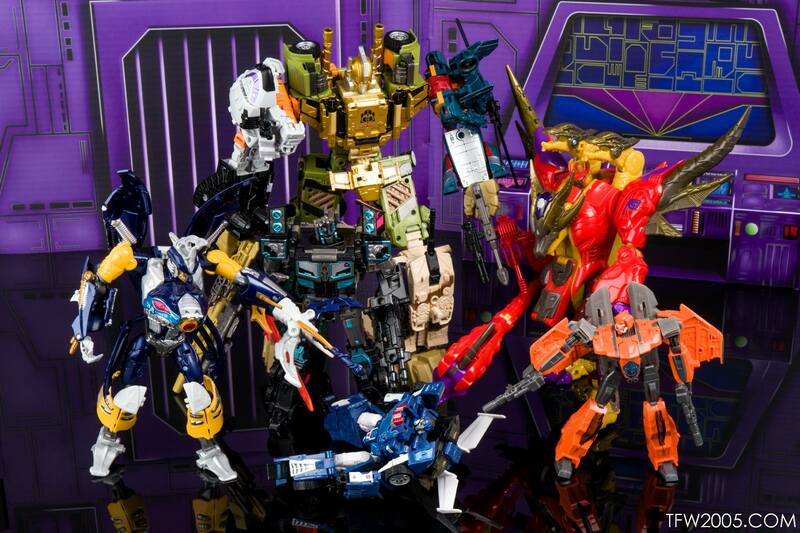 I wish the rest of the combiners had included these hands and feet. DAMN YOU TONY!!! 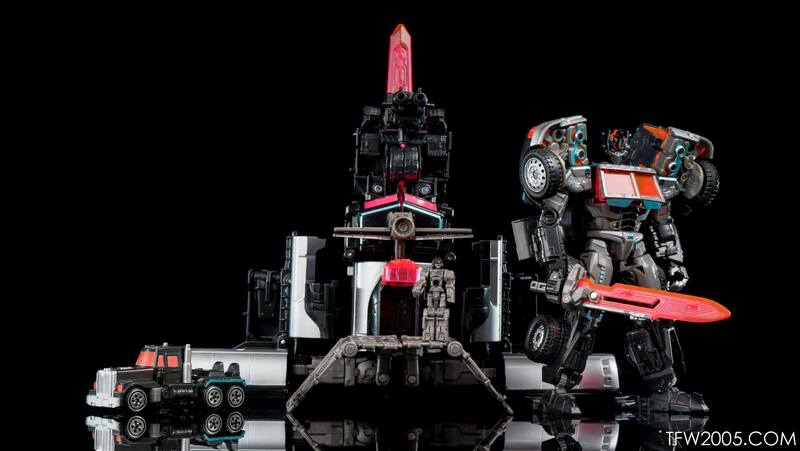 These shots made me order both scourge and baldigus. Lol. They just look so awesome together. Looks great. Looking forward to getting him soon. 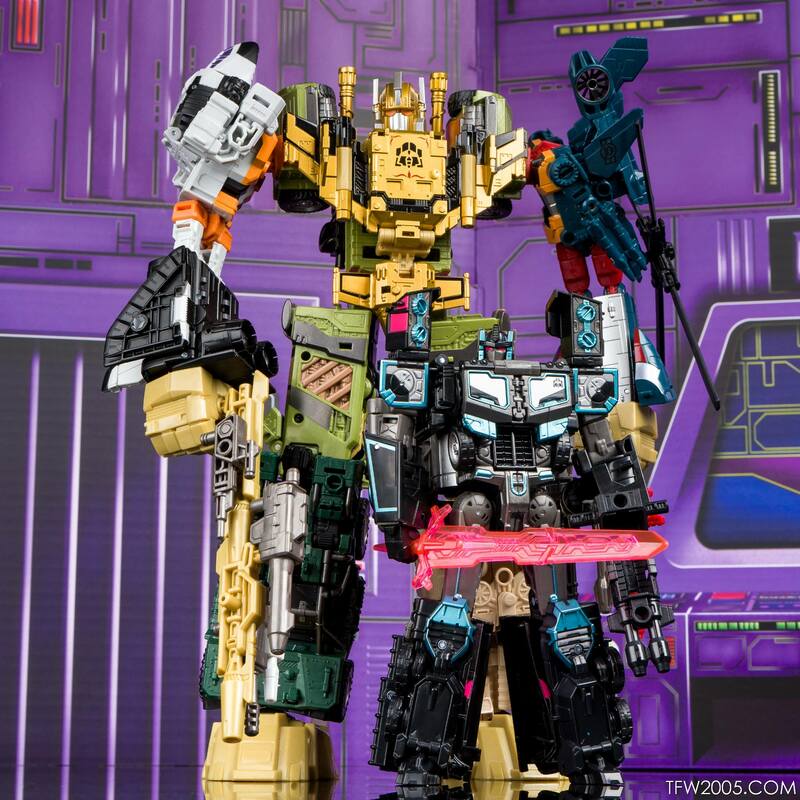 I bought UW Ruination BEFORE I ever saw the show and I LOVE his colors and went back and watched all the episodes of RiD2001 featuring him. 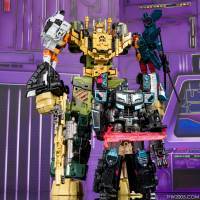 I passed on all of the versions of this mold in anticipation of getting a proper Scourge to go with my Ruination! I'm in the same boat, I only grab non-MP scale stuff if it's RID related, or an occasional in-out purchase anymore. It's tough having to curate. Makes for a cleaner looking collection but means passing on some great figures. This is one of those totally awesome releases I\'d be all over if I still collected figures this scale. Looks amazing! 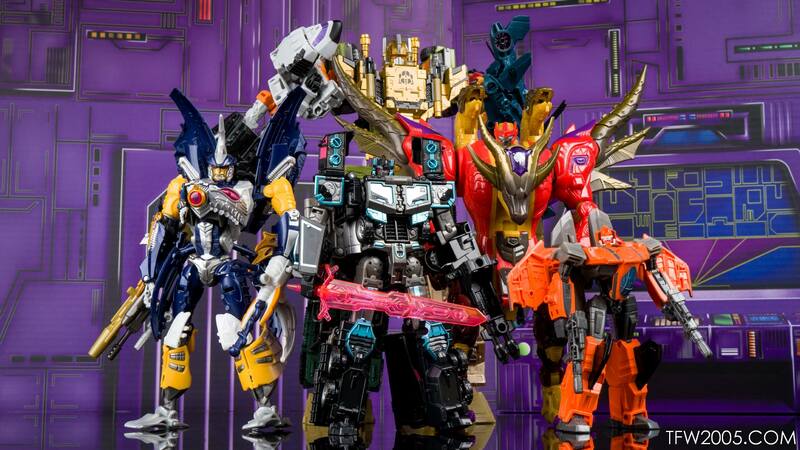 This is one of those totally awesome releases I'd be all over if I still collected figures this scale. Looks amazing! 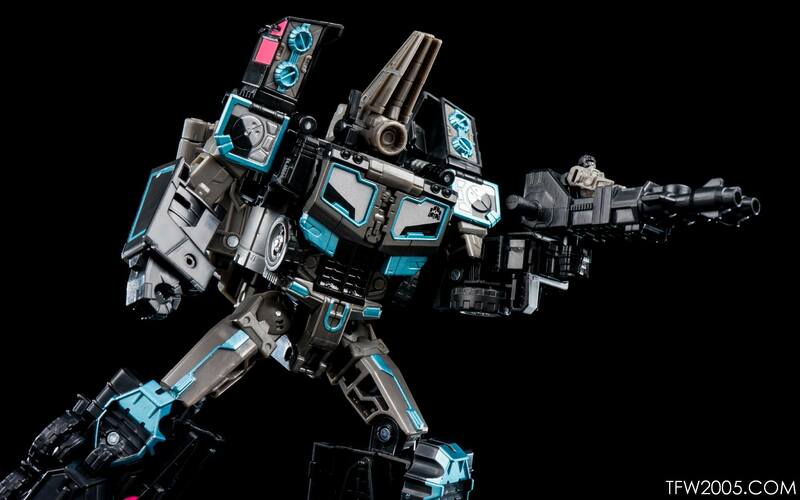 The more I look at the figure, the more I wish there was a Toxitron redeco of it. 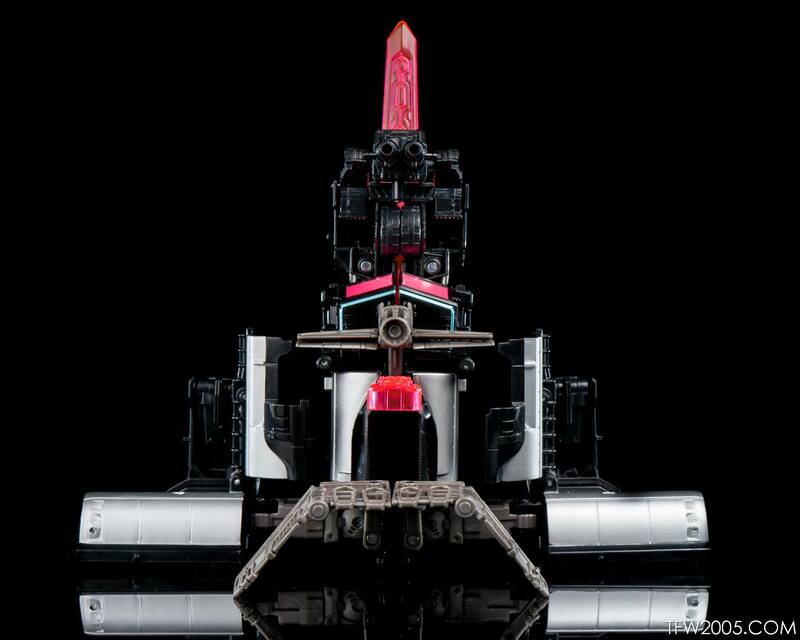 Whoa, that looks like one of those TF:TG Decepticon drones. What? 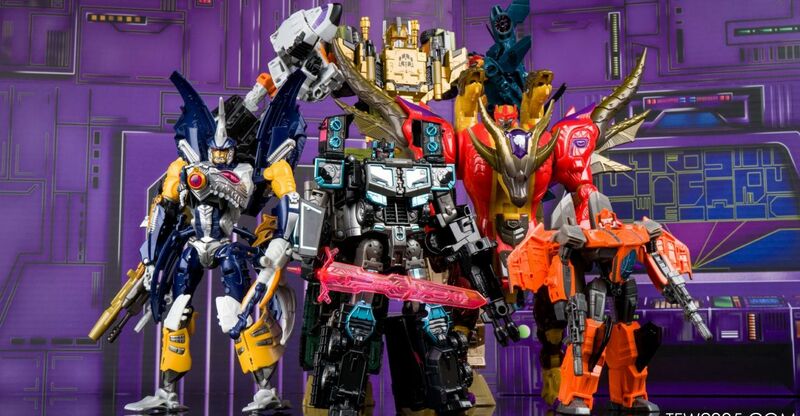 No shots of the base mode? Disappointed. This, ironically, just made me want Baldigus even more. Wonderful gallery, though. 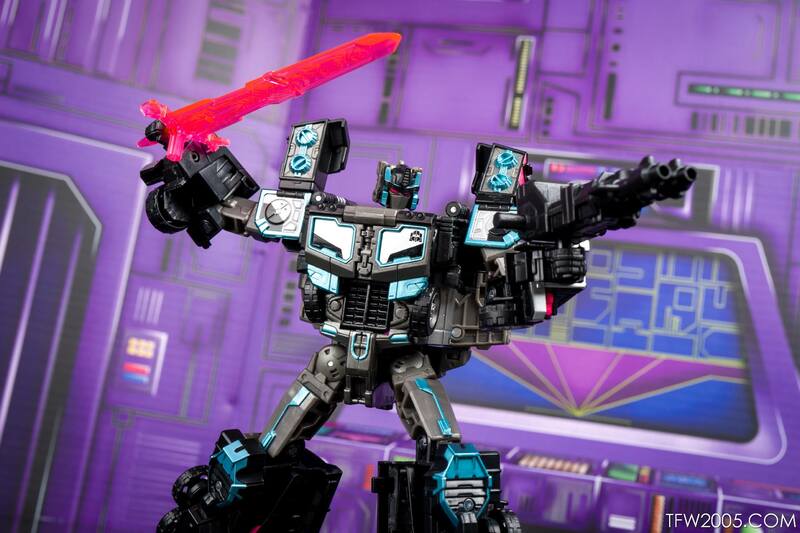 Scourge looks really damn great here. Oh what a coinkidink…I so happen to have an extra one….heheh. He's great. 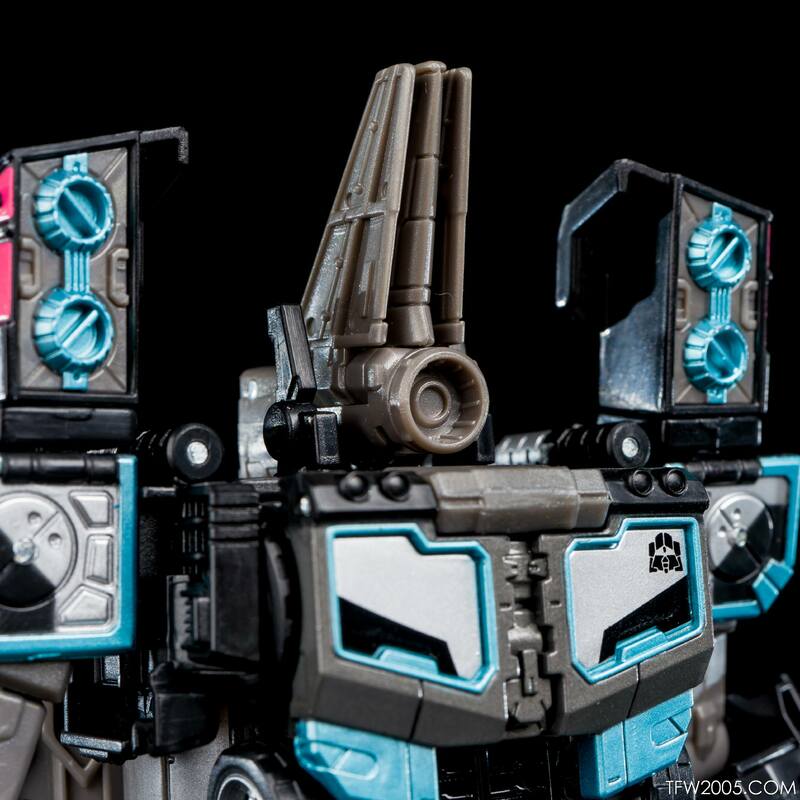 But i kinda wish some third party or someone on Shapeways would designs some system to clip wheels onto his shoulders. I was originally uninterested but now I really want them……….I\'m starting to see a pattern in my purchases. I don\'t want it during the initial run, then I want it after the line is over. This is probably a huge problem, but I\'m gonna let it get to the point where I HAVE to do something, instead of SHOULD do something. …oh, yeah, the gallery\'s awesome btw. That reminds me…I need to bust mine out of his cardboard prison soon..